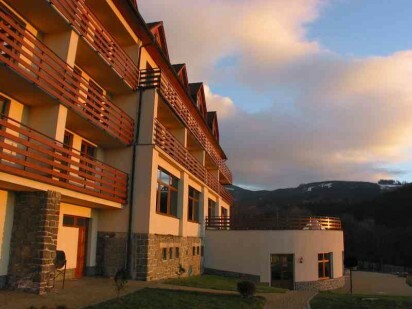 This year the conference takes place in the hotel KAM Malenovice in the Czech Republic. This event is organized by the Department of Telecommunications of VSB - Technical University of Ostrava and the Department of Telecommunications and Multimedia of the University of Zilina. The conference KTTO is ocassion to share new information, recently achieved advances and knowledge in field of telecommunications. The researchers, especially Ph.D. students, are kindly invited to contribute and submit their papers. Distinguished guests will give out prizes for the winners of the students competition of young researchers, Ph.D. students and post-doc (up to three years), the evaluation will be based on the recommendation of the chairmen of each session. KTTO offers to the researchers, engineers and scientists a unique ocassion to establish their new collaborations, ideas of research projects and to present their recent research results. Accepted papers will be published in special Issue of journal Advances in Electrical and Electronic Engineering dedicated to the conference KTTO 2012. Since 2011 the Advances in Electrical and Electronic Engineering journal has been covered by Elsevier and papers and published articles in the special issue will be indexed in SciVerse SCOPUS. Dear participants of the 12th KTTO conference, we would like to thank you for your participation in KTTO2012 in Malenovice and your contribution not only to the scientific programme but to the pleasant atmosphere as well. Let us inform you that on-line version of Special Issue of Advances in Electrical and Electronic Engineering Journal has been just published on http://advances.utc.sk/index.php/AEEE . Your papers will be indexed soon in following databases: SciVerse SCOPUS, EBSCO, ProQuest, Driver, DOAJ directory and Google Scholar. Last but not least, I would also like to thank our partners and sponsors.